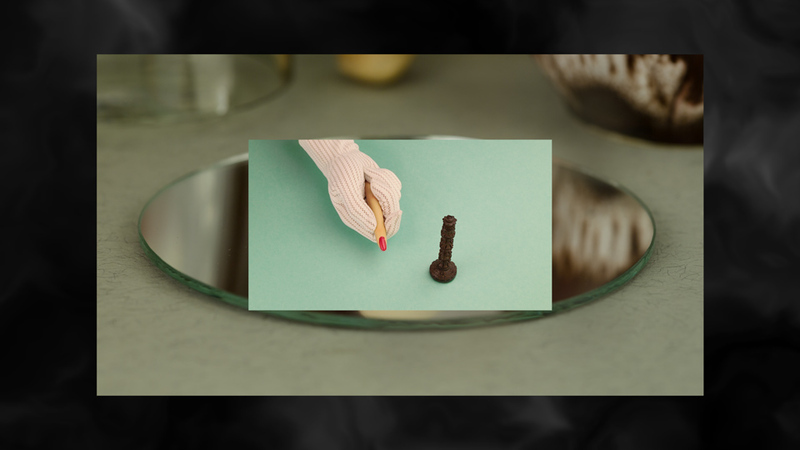 Rebus Cumulations is an audiovisual work dealing with the accumulation of objects and the resulting collages of meaning and denotation build-ups. In the line of classic still life paintings and their symbolic charging, about 120 arrangements were built from everyday objects, cataloged and systematized via a lexical database. 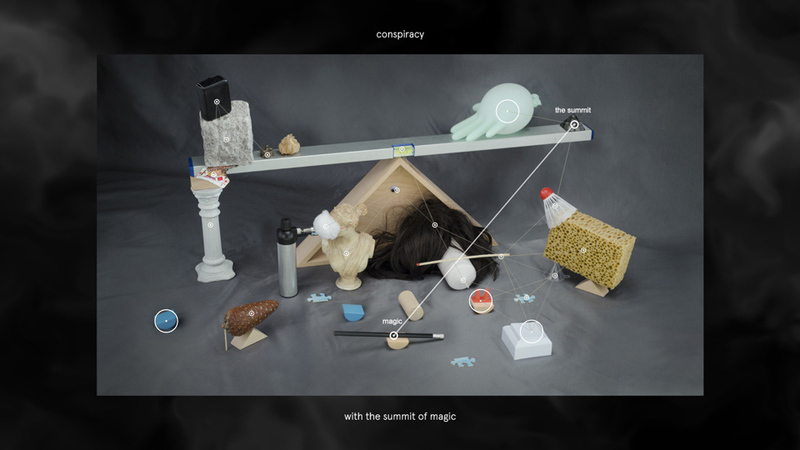 Rebus Cumulation is constantly on the verge between the mundane and the surreal and is building an enigmatic alchemy of things through an semantic system for poetry generation. Commissioned by soundcloud it analyses realtime usage data and relates its development to the movements and energetic states of the tableaux vivants. 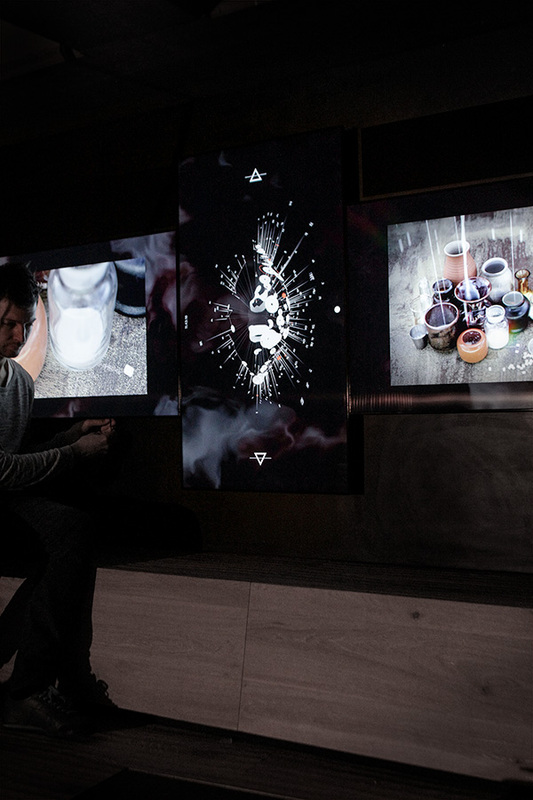 The installation is presented on a triptych of three 46" screens. 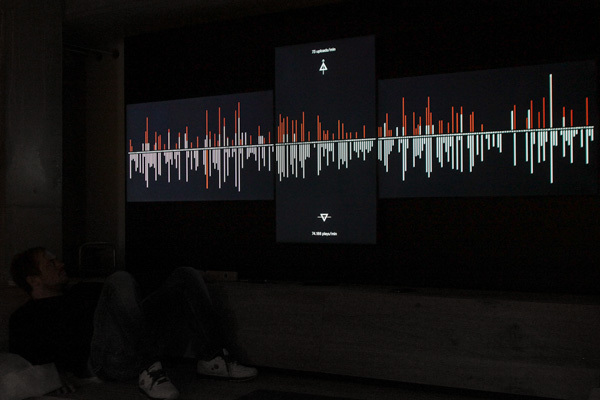 Soundcloud data interface & engineering by Sean Sean Braithwaite.